As President Obama reached out Thursday to millions of Americans receiving cancellation notices from their health insurers, Pam Pultz waited to see what the latest twist in the health reform law will mean for her. Pultz, who owns an Agway store in Dover-Foxcroft, buys her own health insurance through Anthem. The plan suits her needs and she wants to keep it, but she said she has been told to expect a cancellation notice by the end of the month because her $14,000 deductible is too high to comply with the Affordable Care Act. On Thursday, Obama announced that insurers will be allowed for another year to offer plans that fall short of the requirements set forth under his landmark health reform law. The move came after consumers across the country received cancellation notices for noncompliant plans, despite Obama’s promises that Americans could keep their plans if they liked them. The administration’s proposed “fix” affects the individual market, made up of consumers who buy their own insurance rather than obtain coverage through an employer or government programs such as Medicaid and Medicare. In Maine, about 32,000 people currently have an individual health plan. Some can choose to keep their plan, provided the coverage is “grandfathered,” or already in place before the health reform law passed in 2010, and exempt from many of its provisions. Tens of thousands of other Mainers will see their coverage changed or cancelled. Anthem, the largest insurer in Maine’s individual market, has notified about 8,500 Maine policyholders that their plan will be canceled and replaced with the most comparable ACA-compliant plan, according to the state insurance bureau. The new plans would take effect Jan. 1, 2014, unless the policyholder chooses different coverage. Pultz didn’t receive one of those letters, but said she expects it to be among a subsequent batch of notifications based on her communications with Anthem. Mega Life and Health, the other major player in Maine’s individual market, at the end of October sent early renewal notices to its nongrandfathered policyholders, affecting about 6,200 individuals. 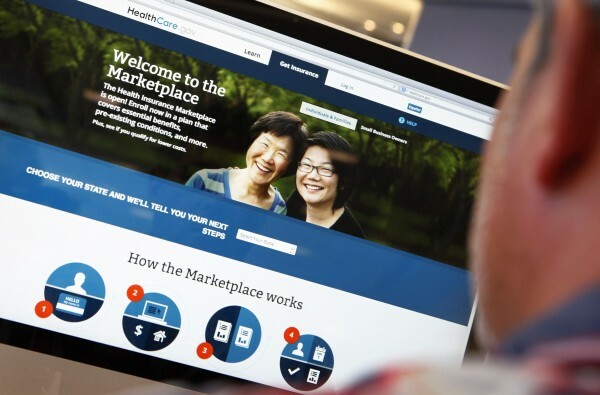 Customers were told their plans would be renewed on Dec. 31, and those who wanted to keep their coverage could hang onto it through the end of next year, with some minimal changes required under the Affordable Care Act, according to the bureau. While insurers can keep providing such plans for another year in light of Thursday’s announcement, it remains to be seen whether they actually do. Insurers may still choose not to offer those plans. Insurers that continue offering the plans will be required to inform consumers about the additional benefits their plan lacks and let them know about other coverage options through the Affordable Care Act’s online marketplaces. Under the White House’s approach, the noncompliant plans could be offered only to existing customers who had their plan cancelled, not to new customers. Premiums have already been set for 2014 based on the assumption that consumers would be transitioning to the new marketplaces, AHIP President and CEO Karen Ignagni said in a statement. If fewer young, healthy people buy plans through the marketplaces — key to offsetting the costs of older, sicker policyholders — premiums will correspondingly increase, she said. “The only reason consumers are getting notices about their current coverage changing is because the ACA requires all policies to cover a broad range of benefits that go beyond what many people choose to purchase today,” Ignagni said. Insurers fear that healthy people with skimpy but cheap health plans will keep them rather than shop on the marketplaces, leaving the marketplace pool with riskier and more expensive consumers, explained Jim Highland, president of Compass Health Analytics in Portland. Some consumers with canceled plans, however, may find better deals through the marketplaces, where they can apply for financial subsidies to help them afford coverage, he said. “Just because people can keep their policy doesn’t mean they will,” Highland said. Under the White House’s “fix,” state insurance commissioners will be given federal permission to allow consumers who already have plans set for cancellation to keep them through next year. Each state can decide whether to take the Obama administration up on that offer. Maine’s insurance bureau is “reviewing the matter,” according to a spokesman. The onslaught of cancellations came about because insurers can’t keep selling many of the plans now offered in the individual market. The plans don’t meet certain requirements of the health reform law — they may not cover maternity care, for example, one of several required health benefits, or shut out consumers with pre-existing health problems. Thursday’s announcement runs counter to the law’s aim of ensuring all consumers with private plans have at least that basic set of health benefits. Ridding the individual market of substandard plans that come with high deductibles and out-of-pocket costs and poor coverage was a chief goal of the health reform law. In recent years, consumers in that market have faced steep premium and deductible increases and benefit rollbacks. But for some people, high deductibles work, Pultz said. At age 54, she has enough equity in her house that she could afford to pay $14,000 for her deductible if she wound up in the hospital, she said. It’s much tougher, however, for her to find the cash to pay a higher premium every month, she said. Because she has no children, she doesn’t benefit from some of the consumer protections and benefit improvements outlined in the law, including pediatric dental benefits and permission to keep a child on a parent’s plan until age 26. She also doesn’t expect to qualify for federal subsidies to help her afford coverage, because of how her business income is classified for tax purposes. She would have to pay at least $200 a month more for a plan through the marketplace, which she can’t swing, Pultz said. The deductible would be far lower — the ACA caps deductibles at $6,250 — but that doesn’t matter much to her. “I’m pretty laid back — all I think about is my dogs and my business — but I just feel so upset and angry and agitated,” Pultz said.